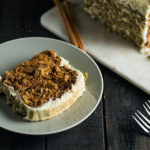 Whenever I have a friend celebrating a birthday or have any kind of celebration to attend, this carrot cake recipe is one of my favorite things to bake. 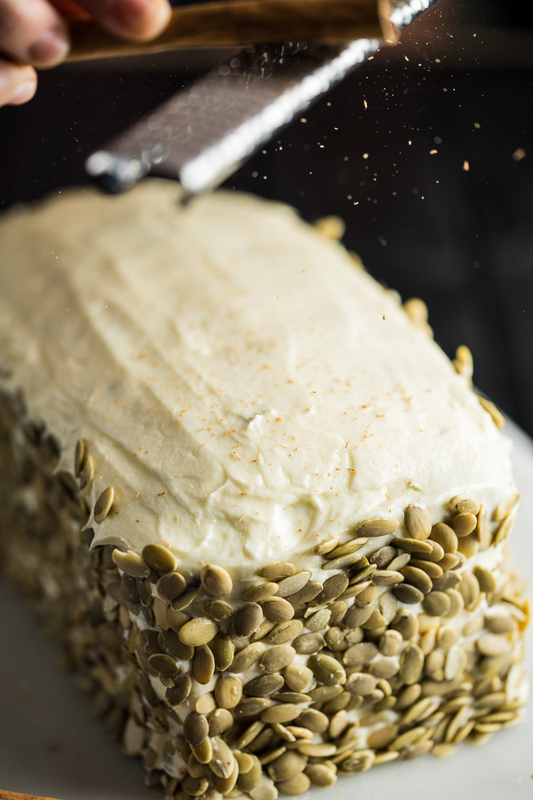 Even if carrot cake is a common thing you’ll find in bakeshops, it’s hard to find one that doesn’t scrimp on cream cheese in the icing or that actually does the carrots justice. 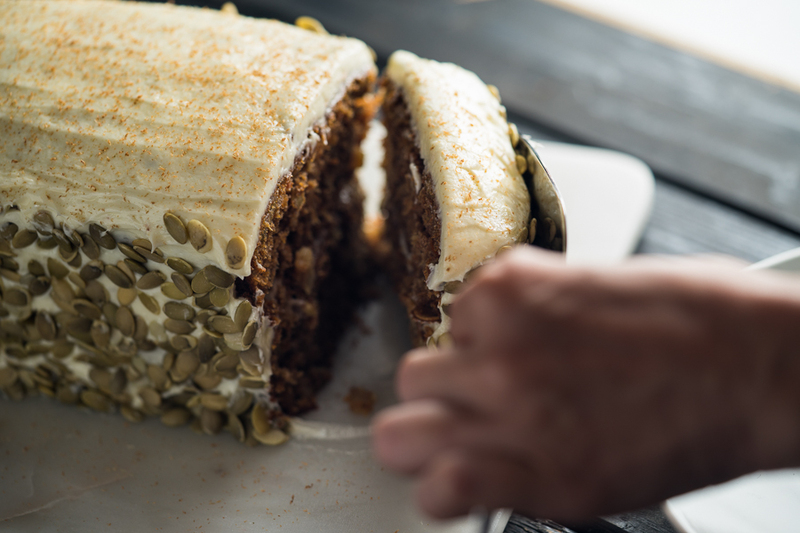 If you’re going to have vegetables in a cake, you want the cake to be at least a bit healthy right? 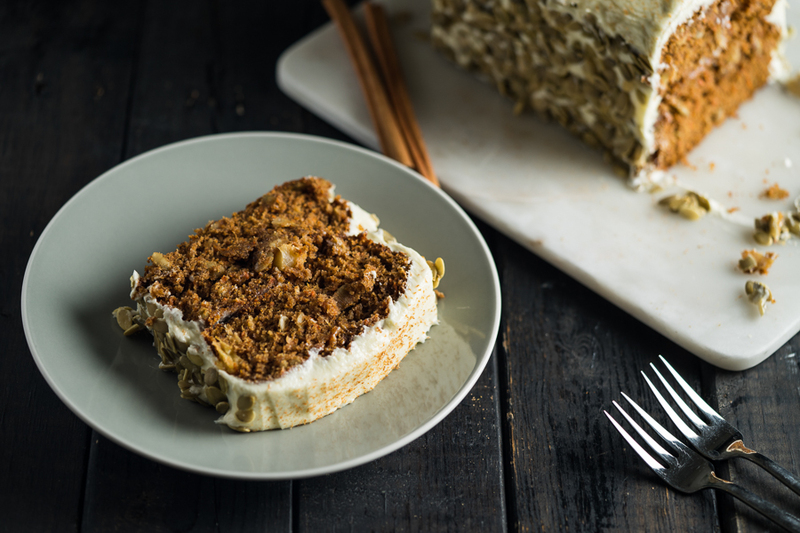 Adapted from the Canadian Living website and tweaked with my top healthy baking alternatives, I guarantee this easy-to-make carrot cake will be a delight to those who eat it. 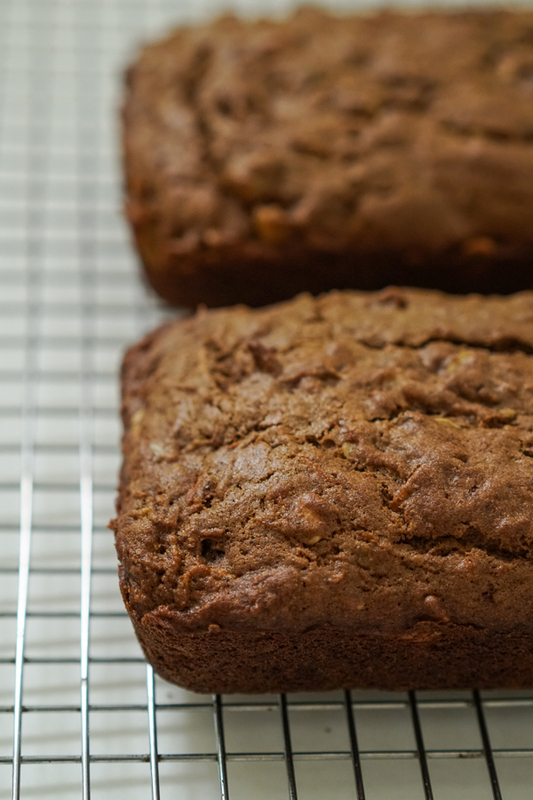 It makes use of Bob’s Red Mill whole wheat pastry flour from Healthy Options, coco sugar and coconut oil instead of butter. 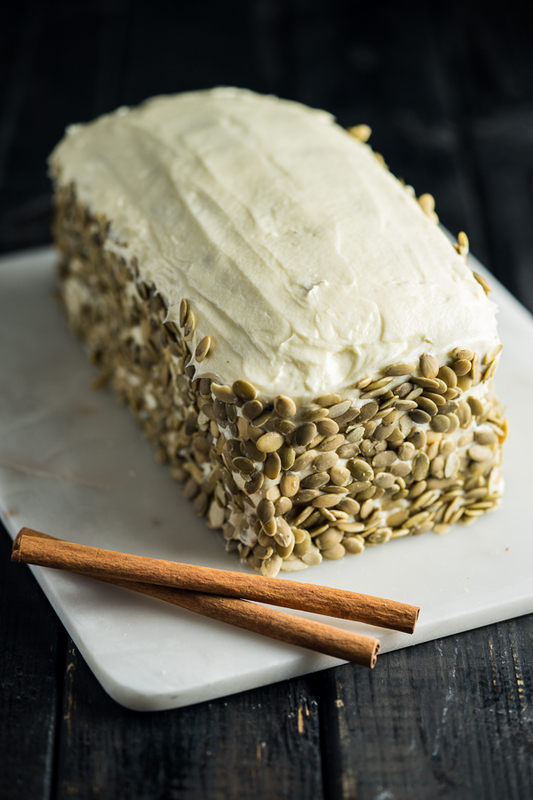 You can make this recipe with any type of nut like pecans or walnuts but I went with pumpkin seeds for a change. 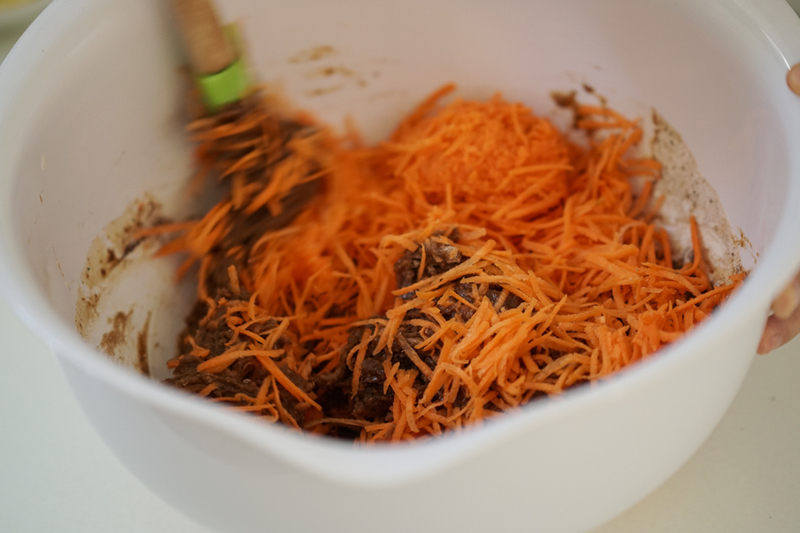 Before jumping to the end for the full recipe, enjoy the step-by-step photos below. 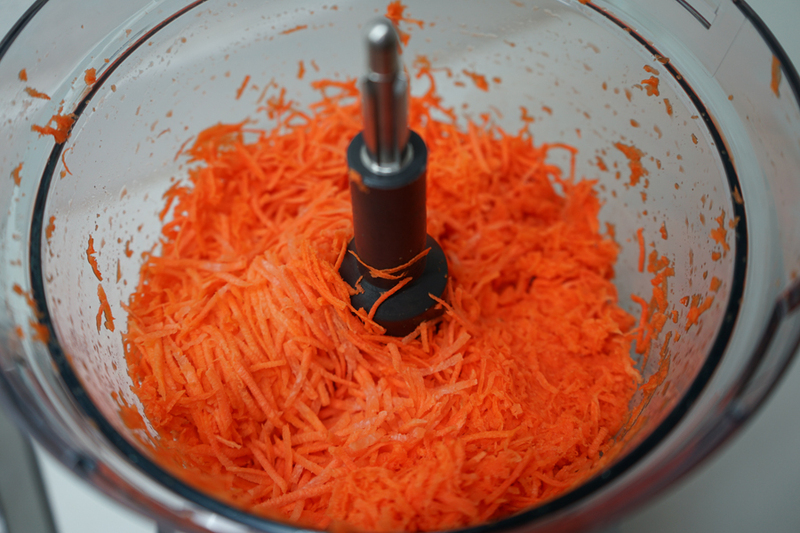 To make the job easier, get yourselves a food processor like the Breville Sous Chef that shreds a whole carrot in about 10 seconds. 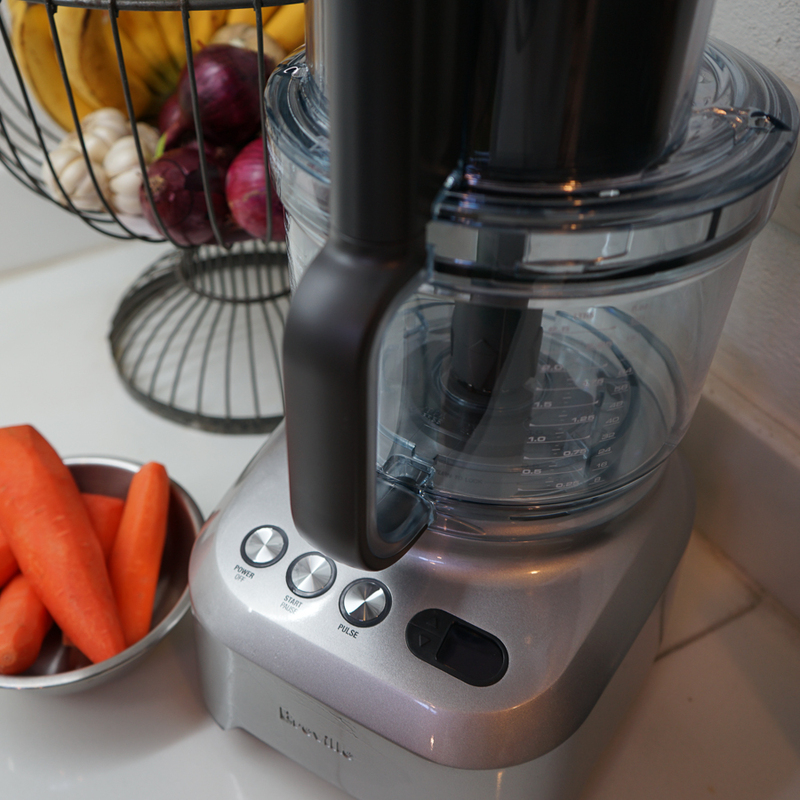 But what I enjoyed using the most was the Breville Smart Oven. It’s a great countertop appliance with a convection setting reduces cooking time by up to 30% and preheats super fast. You can also roast meats, reheat left overs and toast anything evenly. 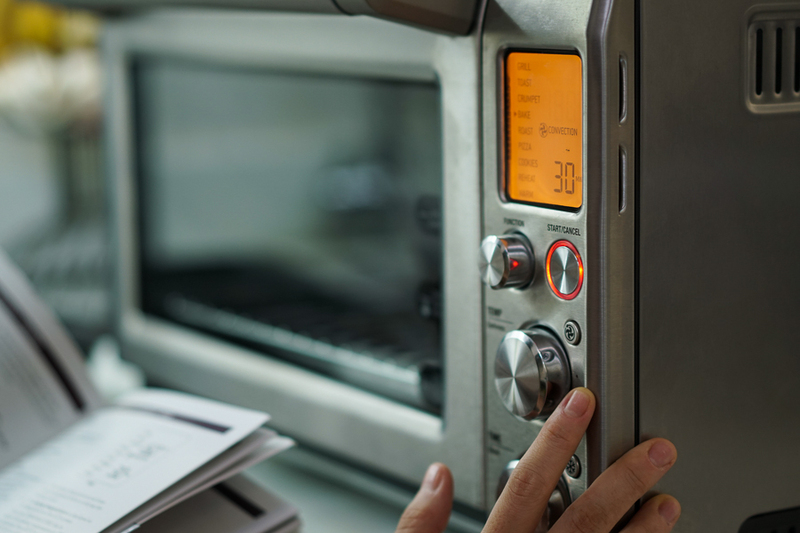 To make things fool-proof, it has 9 Pre-programmed settings: Toast 6 slices, Bagel, Bake, Roast, Broil, Pizza, Cookies, Reheat, Warm. 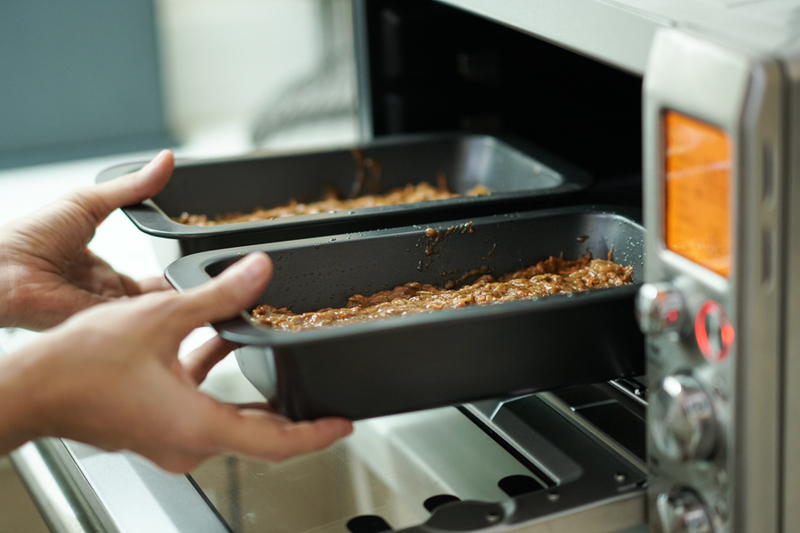 After you prep all you ingredients, before mixing them together, preheat your oven first to 180 degrees celsius. Then butter your pans. 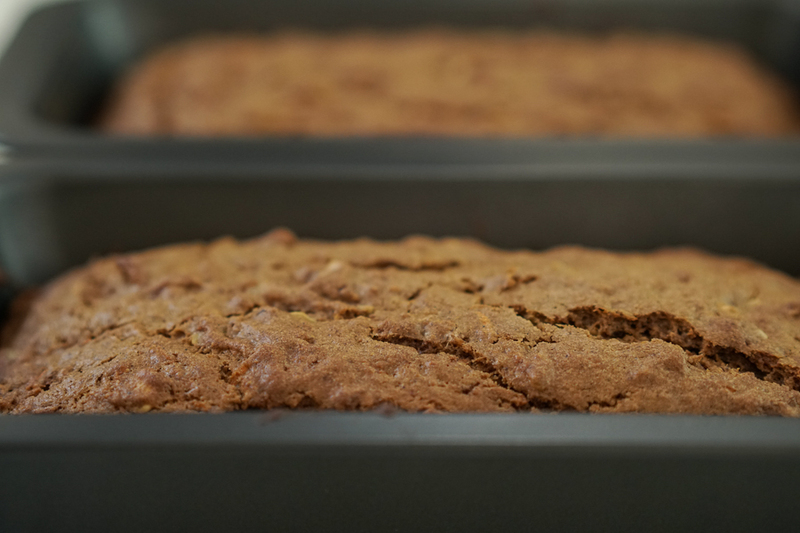 You’ll need 2 baking pans. 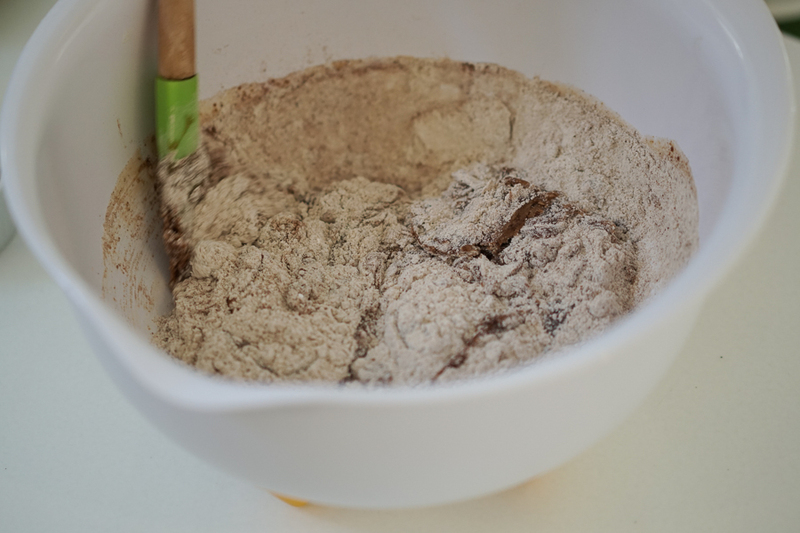 Measure and mix the wet ingredients and dry ingredients in separate bowls before combining them together. 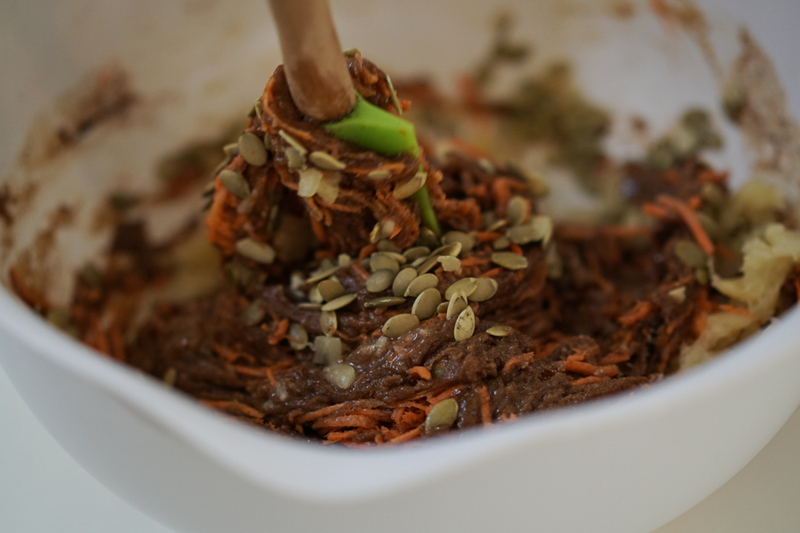 Lightly mix together the wet and dry ingredients then fold in the carrots and pumpkin seeds. 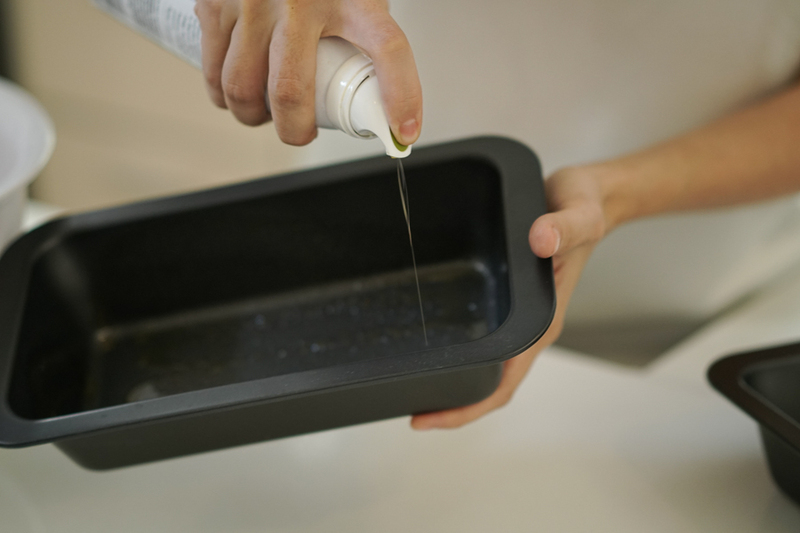 Pour the batter evenly in 2 separate pans. Place both pans in the center of the oven. Bake for 20 minutes. Insert a toothpick in the center. If the batter still sticks, leave it in the oven for another 3-5 minutes. 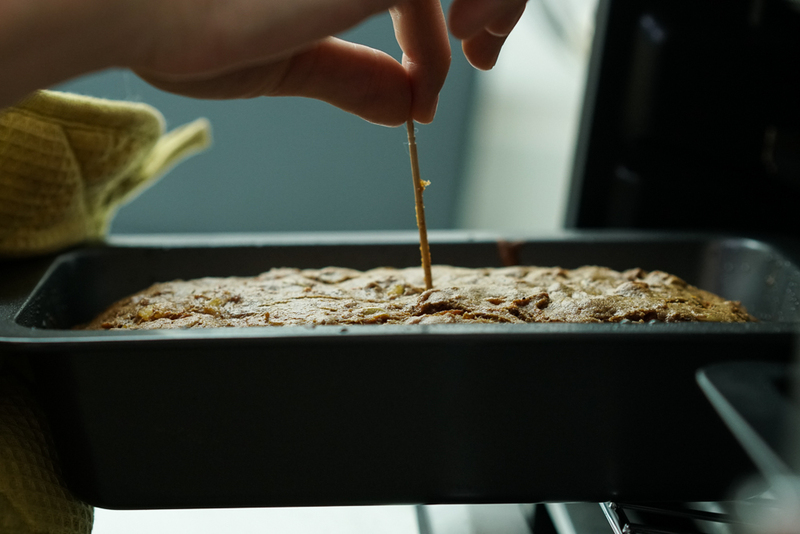 Let it cool more on a wire rack while you make the icing. 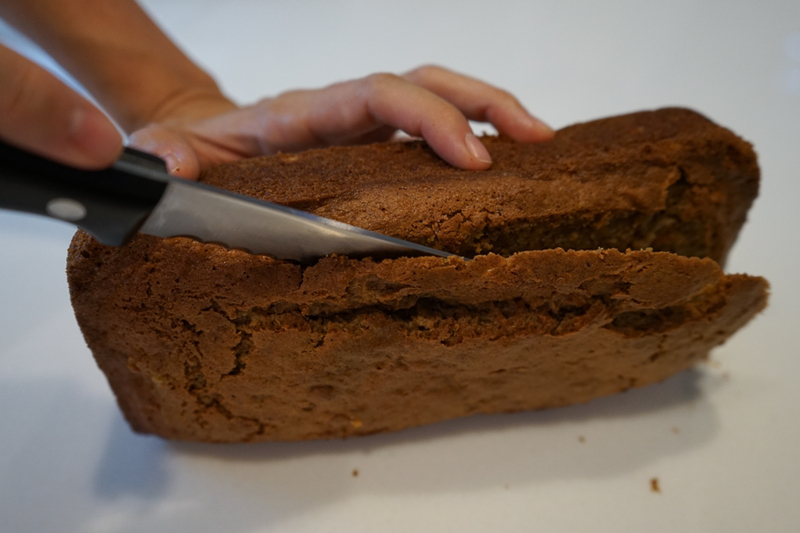 Slice the top of the cake you are using as the first layer. 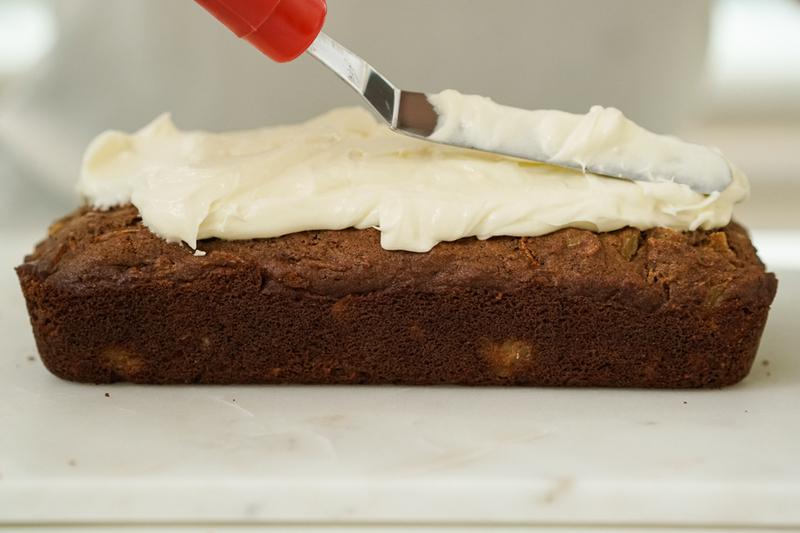 You can also trim the sides to make it easier to spread the icing later on. 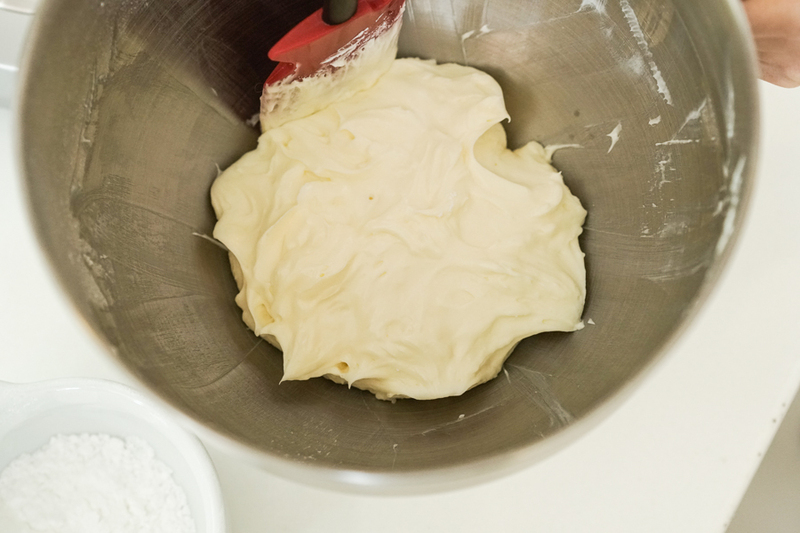 Place the cream cheese and butter in the mixing bowl beat them together. 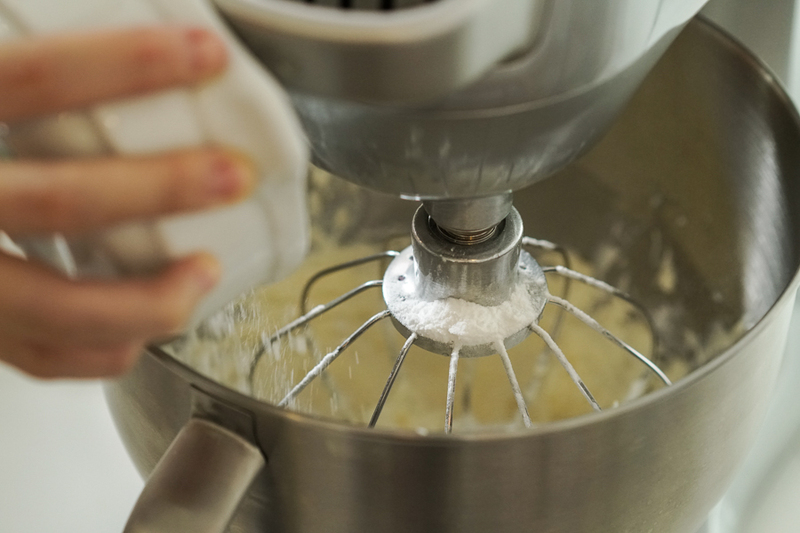 Once cream cheese and butter are combined, turn the mixer off add the powdered sugar a little bit at a time. 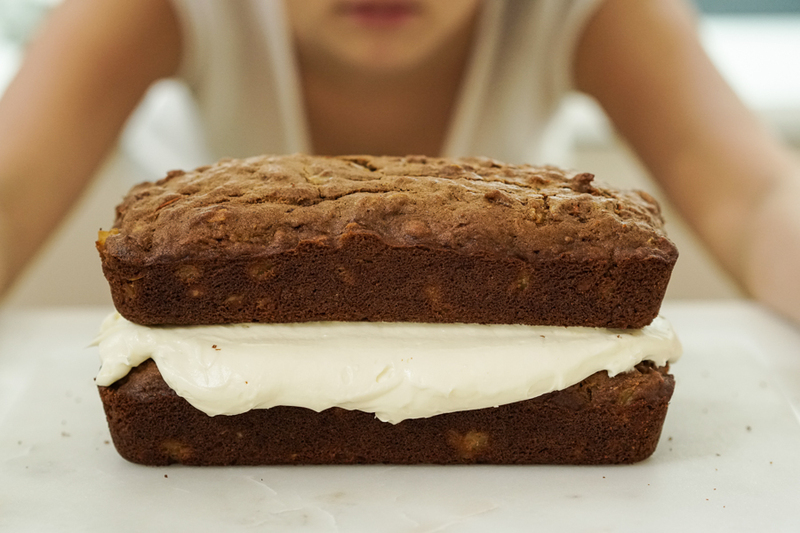 Your icing should look light and fluffy. 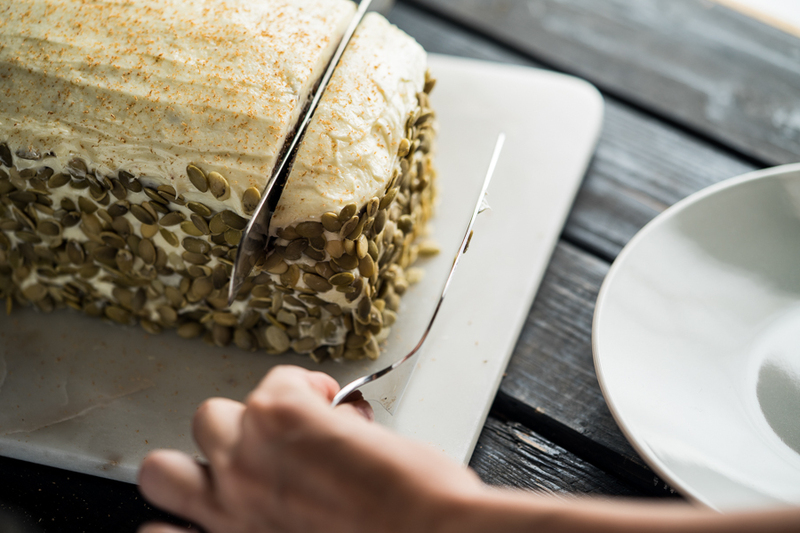 Place the first layer the cake on a serving board or dish. 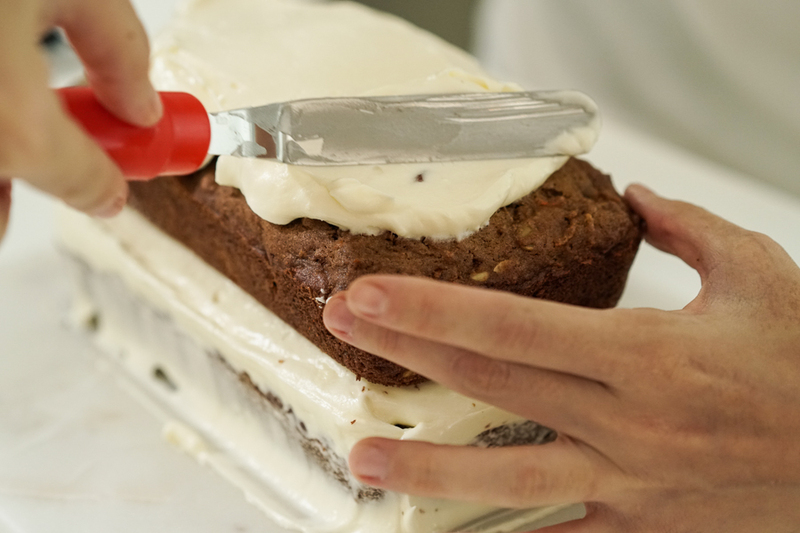 Spread a huge dollop of icing on top. 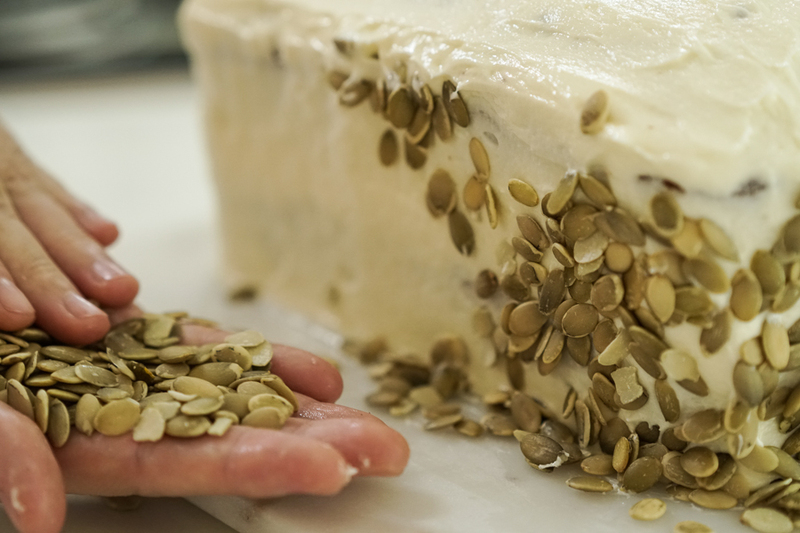 …and put icing on that. Then spread the icing evenly all around the cake. Then press them onto the sides of the cake. 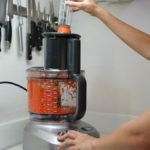 You can even throw them a little bit at a time if you don’t want to get icing on your hands. You can sprinkle cinnamon on top. Or be fancy like me and use a microplane with cinnamon sticks. In separate bowl, beat together coco sugar, eggs, oil and vanilla until smooth. 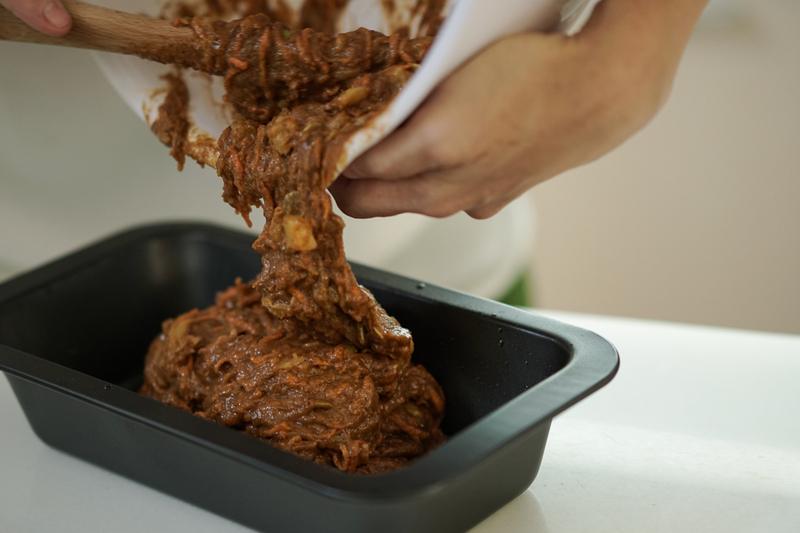 Pour dry ingredients into wet ingredients and stir just until moistened. 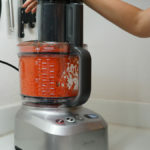 Stir in carrots, pineapple and pumpkin seeds. 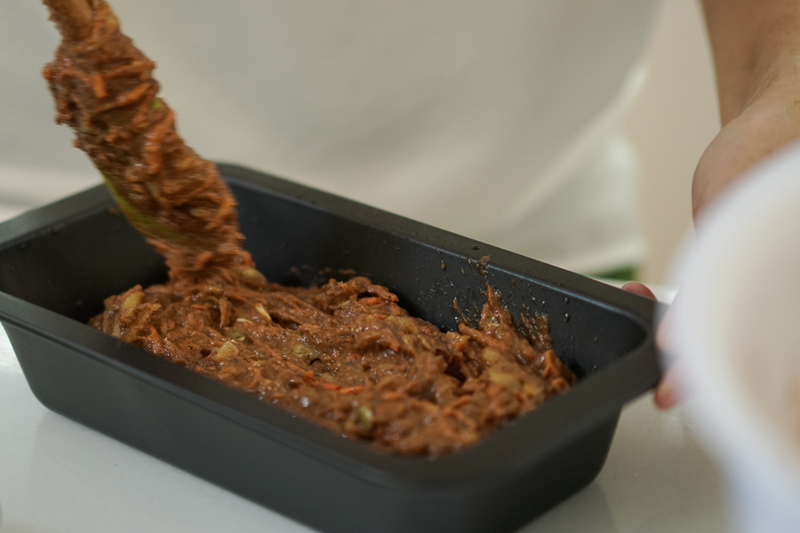 Spread evenly in prepared pan. Bake in the center of oven for 25 minutes then insert a toothpick in the center of pan. If toothpick does not come out clean, leave for another 5 minutes. Check again and once toothpick comes out clean, remove from oven and let cool in pan on rack. Remove from pan after 10 minutes. 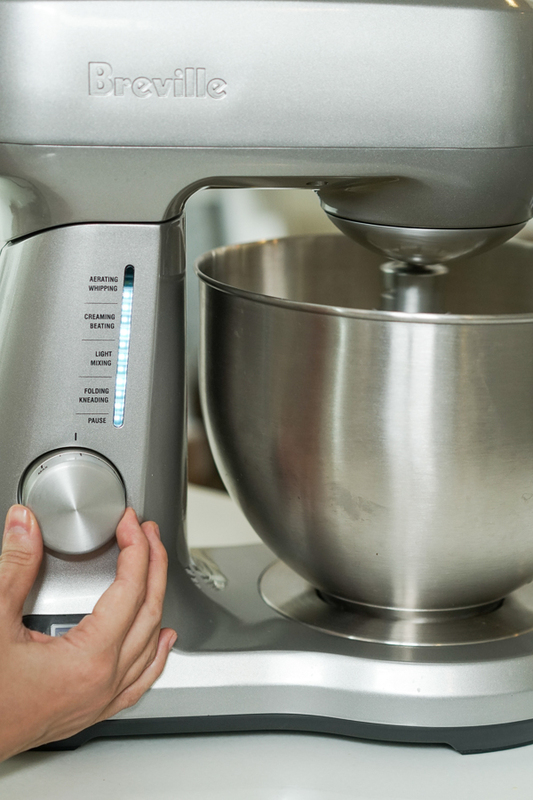 Icing: In a stand mixer, beat cream cheese with butter until smooth. Beat in vanilla. Beat in icing sugar, one-third at a time, until smooth. Spread over top of cake. Hi Bianca, I made this recipe quite a bit. I’ve always used unsweetened apple sauce for the oil and its still great. 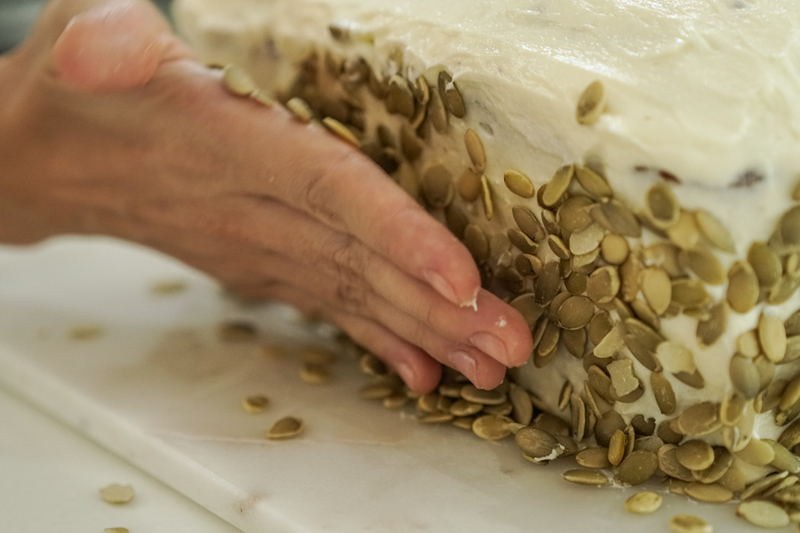 I’ll try with pumpkin seeds next time.